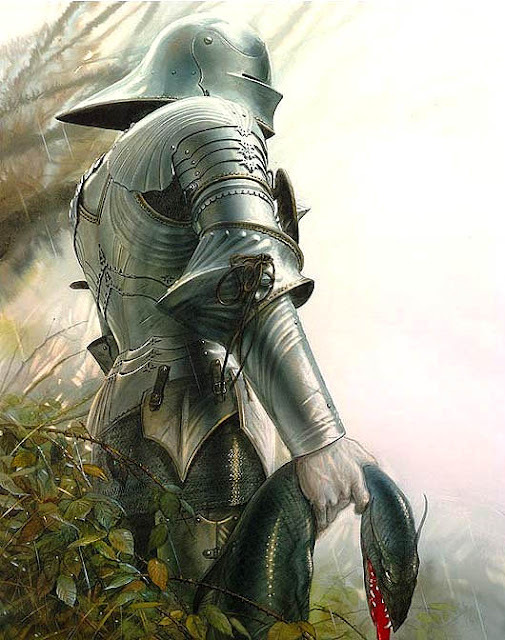 Back in the good old days -- which everyone pretty much agrees were pretty damned rotten -- what you wore was a matter of life and death: simple rotting cloth was common, leather was rare, but for the gentleman of standing, it was armor or nothing. 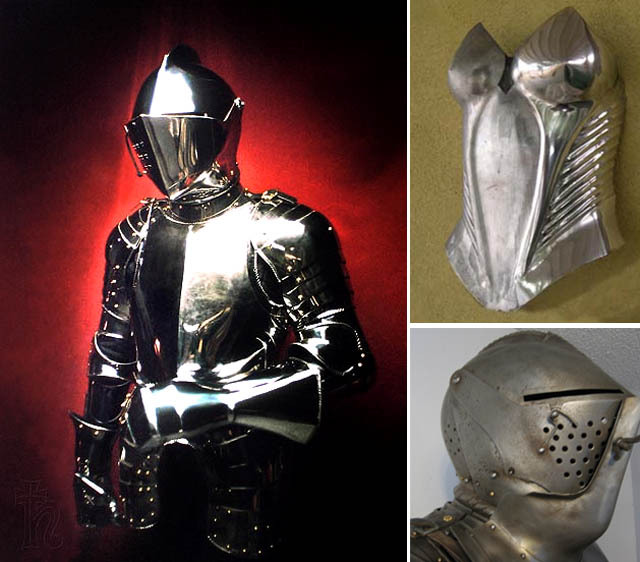 The first appearance of armor is a matter of much debate. Some say forged metal is key, in which case the toga-wearing crowd would be the first. Others insist that even wood worn as protection could count, in which case you'd have to go as far back as the sticks and stones brigade. But most everyone agrees that back in those rotten times, when men were knights and women were damsels in distress, armor was at its height. One of their brilliant innovations was perfecting mail ... and, no, I'm not talking about the 'rain nor sleet' variety. 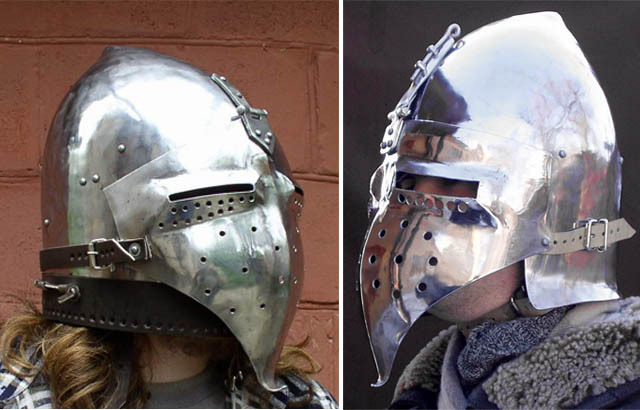 Rumored to have been first created by the Celts many centuries before, it was a process that worked its way up through the ages until it reached armorers who took the basic idea to new heights. 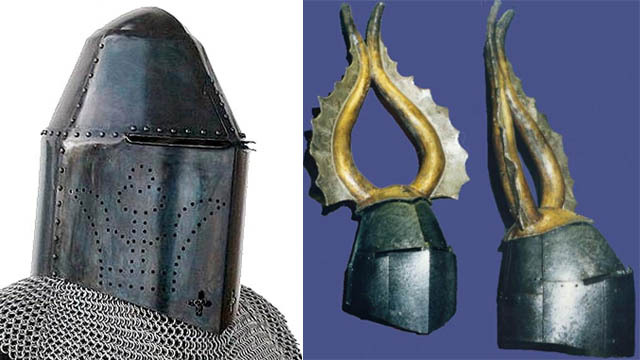 The idea is astoundingly counter-intuitive: instead of making your armor out of slabs of sturdy and very protective metal, why not make it out of thousands and thousands and thousands of carefully connected rings? 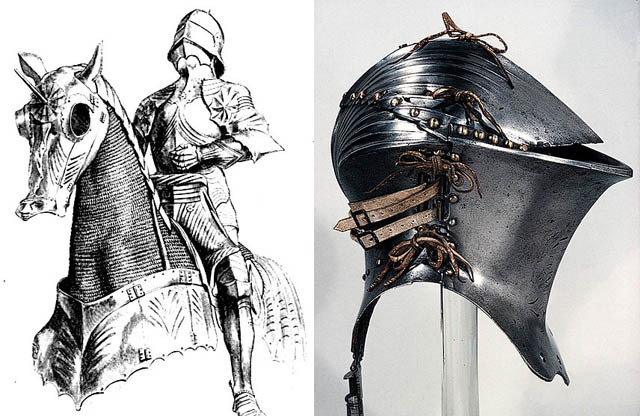 It worked remarkably well: light as well as strong, it gave the wearer flexibility -- often the key factor between leaving a battle on horseback or on a stretcher. 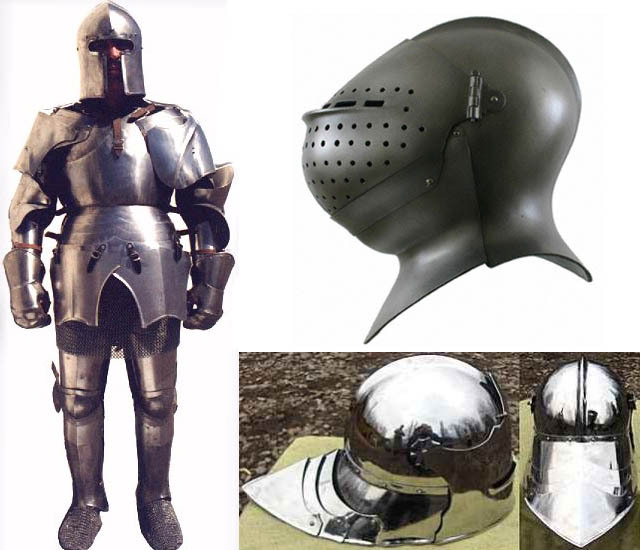 When plate armor was added to mail the result was the classic -- and devastating -- armor of the Middle Ages. 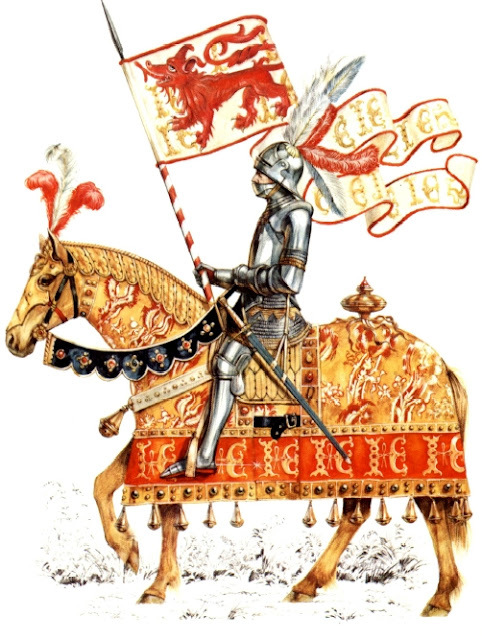 It's hard to imagine now, but for a long time a knight on horseback was the terror weapon of the age: galloping into battle on monstrous war horses, often also well-armored, they were as terrifying as they were indestructible. Nothing could touch them but they, with sword and lance, could pretty much take on anything and anyone -- except for maybe another knight. 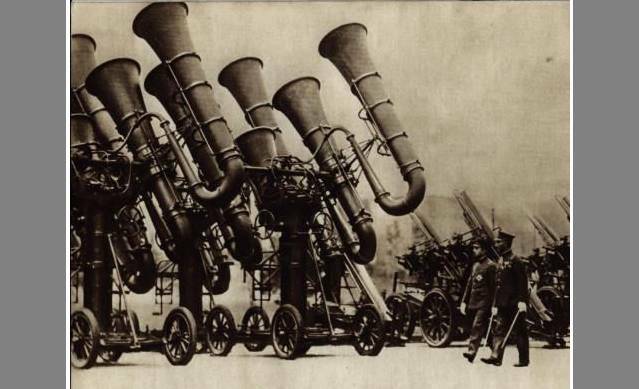 As battle became more and more ritualized -- leading up to jousting, which we all know and love from the movies -- these metallic behemoths became less utilitarian tanks and more statements of rank and wealth. 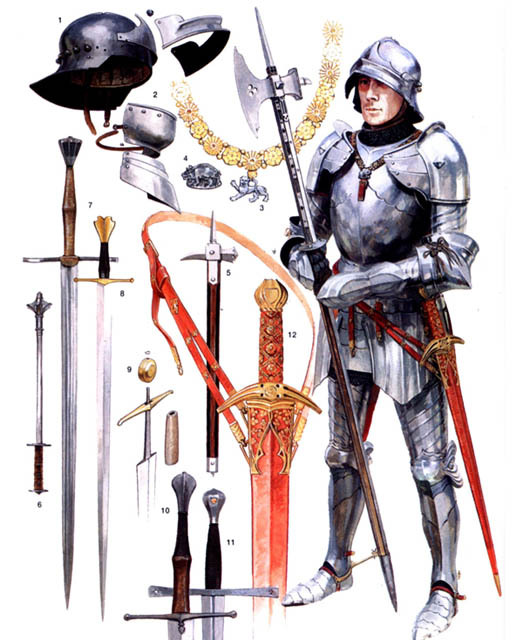 Only the rich or the nobility could afford armor, but only a really rich man or very wealthy Baron, Duke, Prince, or King could afford a fancy set. And, Lordy, did they get fancy. 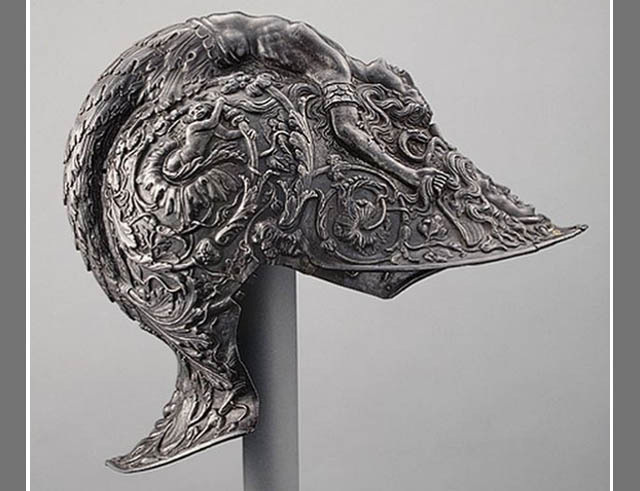 After a point, armors began to look more like dinner services than battle gear: immaculate metal work, precious metals, often comically flamboyant crests and standards, useless -- though striking -- flairs and sculpted forms, and the gleaming reflections of meticulously polished metals. 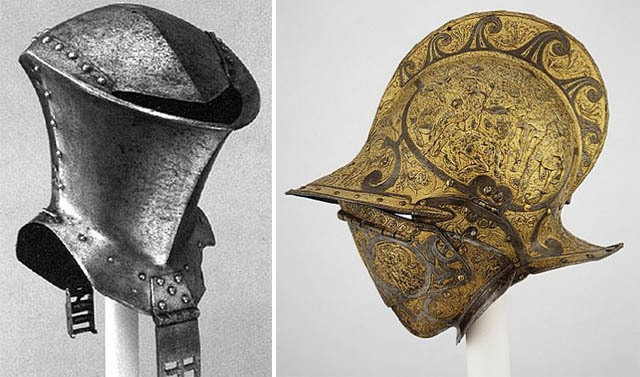 Just take a look at the armor belonging to that spokesman for restraint and modesty, Henry the 8th: not only was it state-of-the-art for its day, but it was designed and built -- as was most armor of the day -- to the wearer's dimensions. 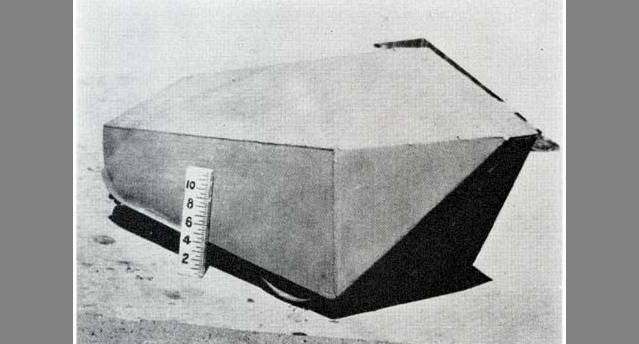 In the case of Henry, though, his personal suit looked like it was more portly battleship than streamlined destroyer. And who can forget the Royal ... um, 'staff' shall we say? Looking at a set of his armor, the question becomes was it designed to protect or brag? But, to be honest, we can't fault Henry for his choice: his armor was never really designed for war -- mainly because the time of armor's suit had passed. 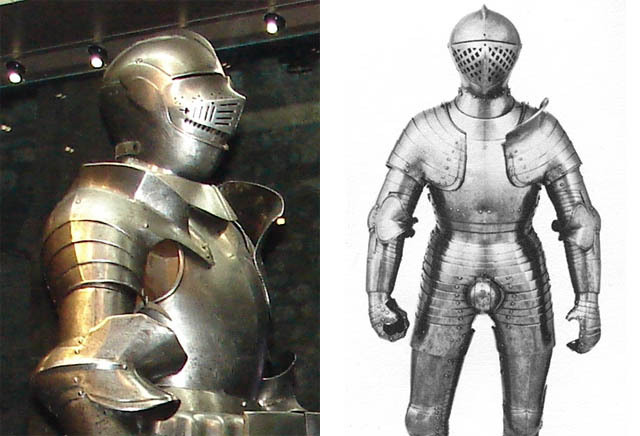 Absolutely, the suit of armor was the terror weapon of its day. But every day ends, and in the case of the classic suit of armor, its end was just about as bad as it can get. 1415, Northern France: on that side, the French; on the other side, the English. Although the numbers are a matter of much debate, it's commonly believed that the French outnumbered the English something like 10 to 1. For the English, under Henry (the 5th, forefather of the afore-mentioned 8th), it wasn't looking at all well. 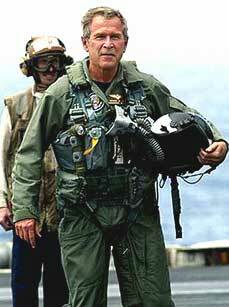 The likelihood was that they were going to be, to use a military term, 'slaughtered.' 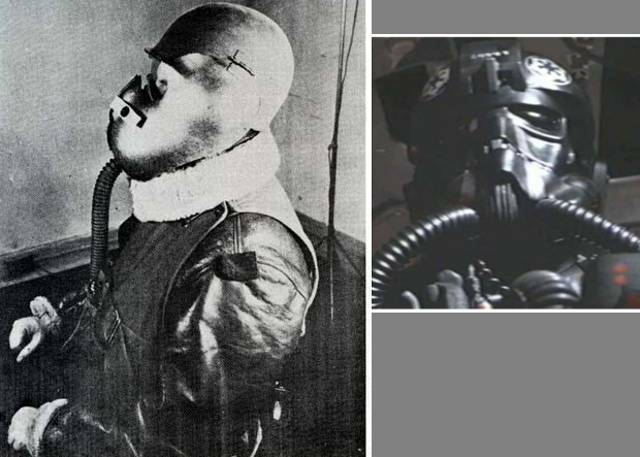 But then something happened that didn't just determine the outcome of the war but also changed Europe forever, as well as doomed the standing of the suit of armor as the ultimate weapon. The French didn't know what hit them. Well, actually they did, which made their defeat so much more hideous: there they were, the cream of French soldiery, marching to seemingly certain victory, their mail and plate glistening in the sun, their monstrous metal weapons and protection the best of the best of the best. Then the arrows started to fall, shot by Henry's secret weapon: the English (technically Welsh) longbow. In one horrifying volley after another, the French were cut down by an enemy they couldn't even reach, their precious armor pin-cushioned, their army pinned to the muddy ground. Clothes make the man, yes. And for a very long time armor was the end-all, be-all, go-getter power suit of the time. But times change -- and all it took was some people with a few bows and arrows to point that out. For the history minded, the longbow didn't do much against the French except goad them into a fight. The armor clad infantry were killed the old fashioned way: spears and clubs. true. it wasn't the longbows that killed them. the terrain played a huge part in that conflict. First, there was a bottleneck in the terrain, so the French knights weren't able to gain from their advantage in numbers. Second, the area became very muddy, thus, the armor not only slowed the knights down, but the sheer weight prevented those that went down/slipped from standing up. In contrast, the lightly armored Englishmen had better mobility and were able to cut down the (horribly) advancing French knights. "T'is but a flesh wound!" Henry VIII, eat your heart out. chain mail did not make a difference, they did not carry you off they battlefield on a stretcher in the middle agess. what a muppet. 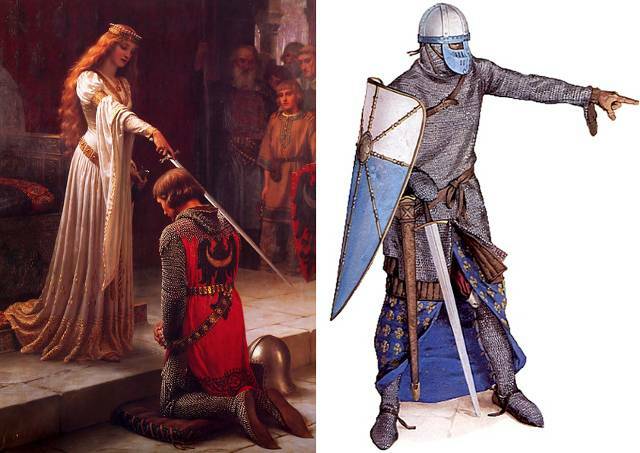 >chain mail did not make a difference, they did not carry you off they battlefield on a stretcher in the middle agess. what a muppet. Of course. They just left their friends and brothers to die in the mud and the cold. Friendship and comraderie hadn't been invented yet, you know, in those days. Just wanted to say wow, what a great article! 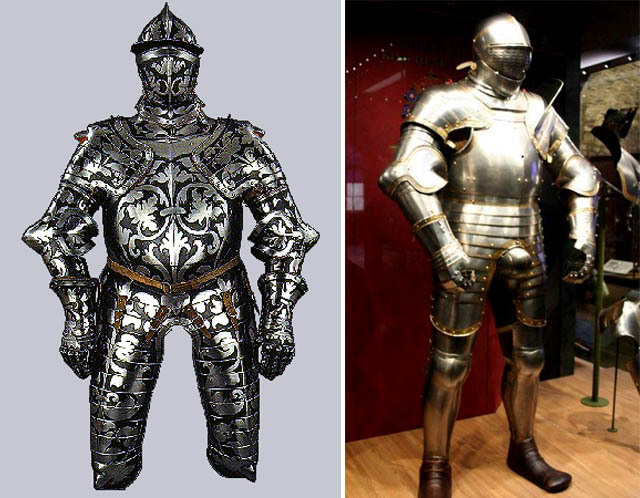 I am a medieval buff but never looked at the history of armor. Can not wait to share this with my friends. 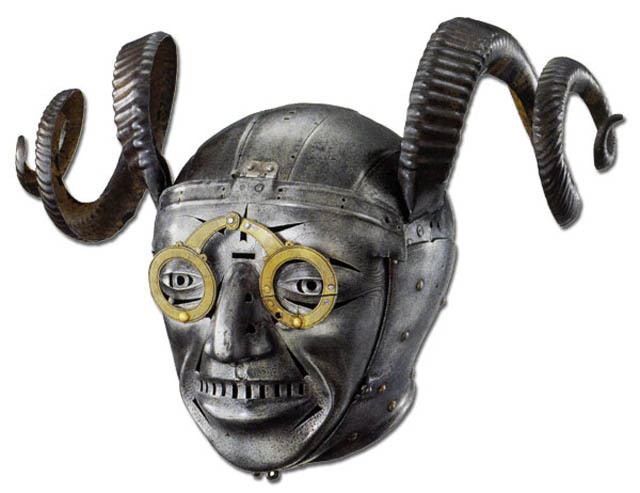 There's nothing medieval at all about the first one with the face and eye-grills, and there are a large number of copies/fakes/fantasy in there but you've got lots of great originals too. Well, not so much. 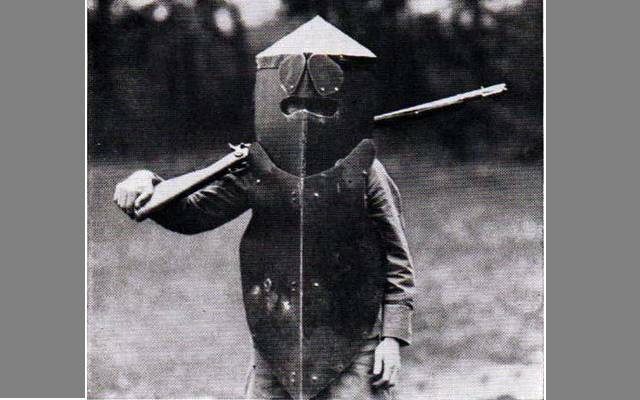 Suits got heavier as firearms came into popularity, until they were too heavy to be useful and still stop a bullet. 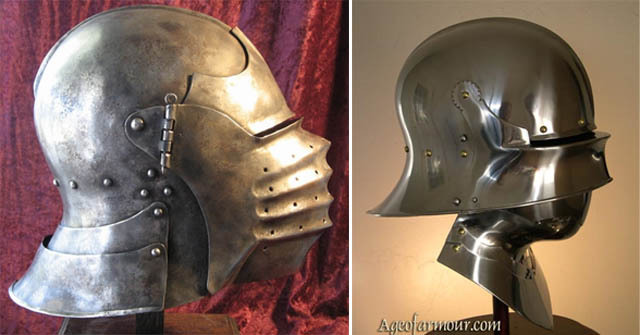 Lighter armor is great against a thrusting weapon, assuming it can still stop it - but against a mass weapon or heavy impacts, heavier armor is more protective, as the mass of the armor will absorb impact. Several photos here I've never seen before. 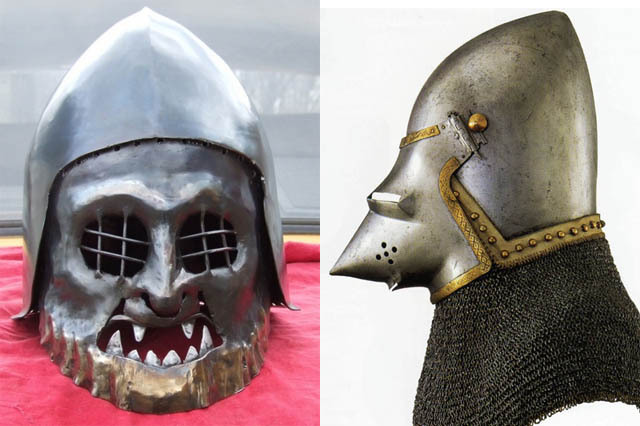 I wasn't aware that Europeans ever created helmets made to emulate an actual face, but it seems they did. Interesting. Early in the Hundred Year's War, longbows could easily take out a knight - provided he was within penetration range. 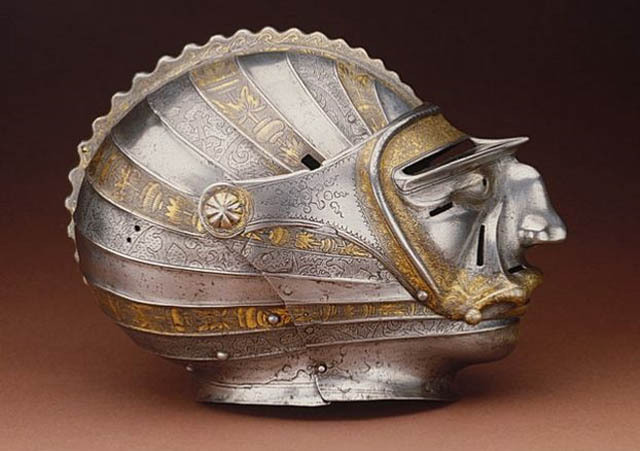 At the beginning, this was anywhere from 50 to 200 yards, but towards the end of the war some armour became so heavy and strong that it was almost impossible to penetrate (aside from some weak sections such as the thin armour near the eye holes). The French knights got scrooged over mostly because they were riding horses which had nowhere near enough armour to protect them from an arrow, especially not the incredibly damaging broadhead arrows which longbowmen carried especially for killing horses. The horses would get hit, fall over. 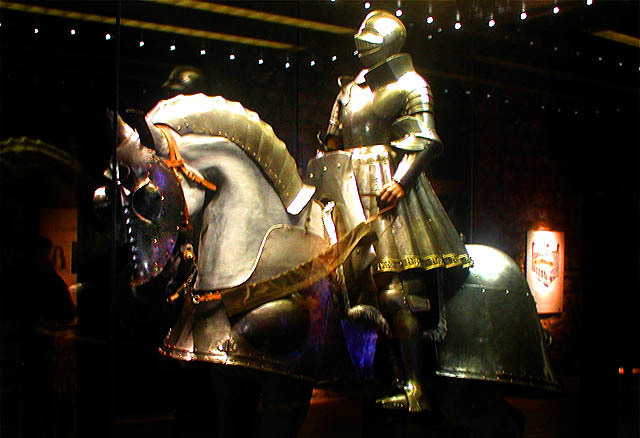 The knights, if they were lucky, would land safely and get on with the moving - but more often the knight would be hurt by the fall (he is in heavy, restrictive armour, after all). What a great reference page, thanks for posting it! Meanwhile, Jesper is right - a longbowman could really mess up an armor'd knight's (er) day, regardless of terrain and weather. William the Conquerer did not use longbows and except for an arrow in Harolds Eye did not decide the outcome (he was wounded by the arrow but killed by Norman knights). The first major use of massed longbow fire was at the battle of Flakirk, which so impressed the English King with the slaughter of the lightly armoured scottish clansmen that they became a large section of every English Army ever since. There were nearly 10,000 English archers at Agincourt, if they each fired off 25 which is 1 quiver each thats a quarter of a million arrows. Around 10,000 French were killed. I group which is dedicated to the study and reenactment of this battle told me that more french drowned in the mud after wounds than were killed by arrows and that the English Infantry slaughtered the majority of the rest. Direct fire from Longbows is nasty but most english armies used showers of arrows which are much less effective against armor except against cavalry as it is almost impossible to give a horse the same protection as a man. Am I the only on e who noticed that someone has written an article on ARMOUR and can't spell it. 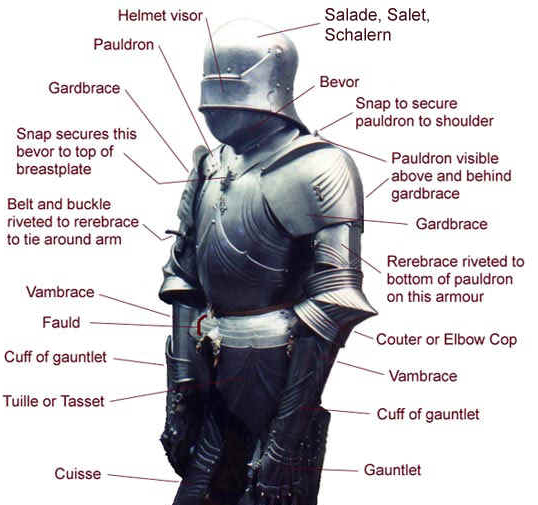 "Armor" is the Americal spelling. 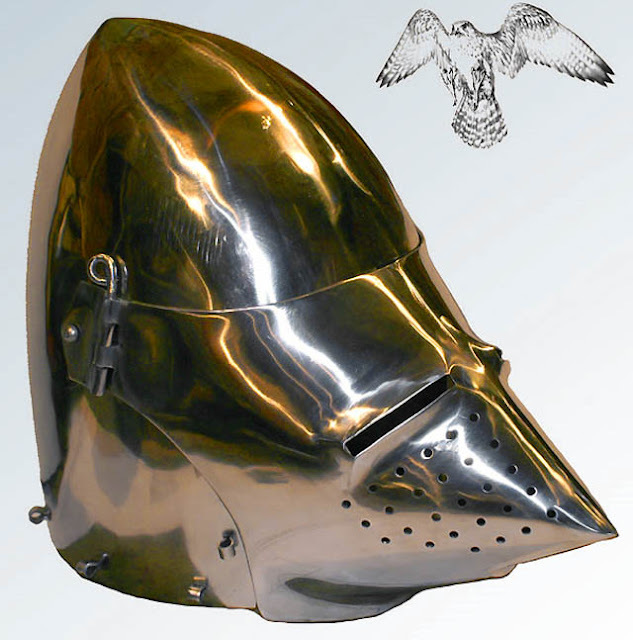 "Armour" is the British spelling. 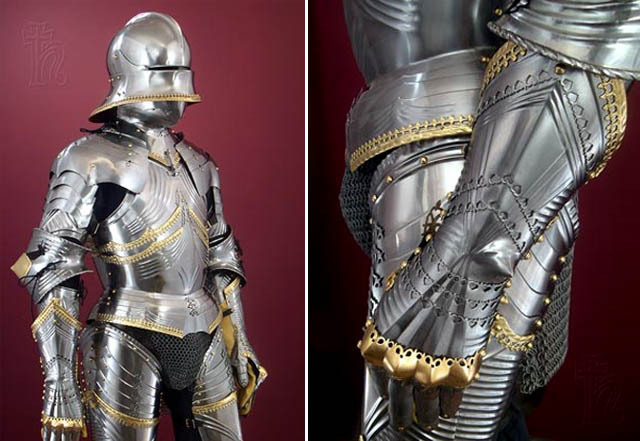 Just take a look at the armor belonging to that spokesman for restraint and modesty, Henry the 8th: not only was it state-of-the-art for its day, but it was designed and built -- as was most armor of the day -- to the wearer's dimensions. 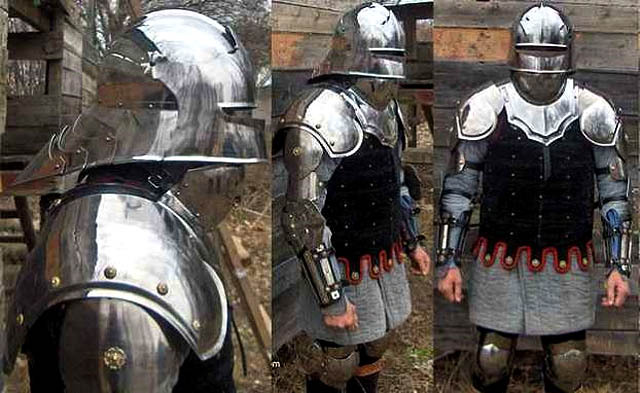 Proper medieval armour cant be pierced by a bow in mortal areas (helmet or breastplate) maybe a lucky shot or a corssbow at CLOSE range would be able to pierce some weak spots of the armour. But thats it. Longbows and crossbows aren't half as strong as its said to be. samurai armor was very minimal compared to the armor of other cultures. Pause, don't hyperventilate: One of their brilliant innovations was perfecting mail ... and, no, I'm not talking about the 'rain nor sleet' variety. Rumored to have been first created by the Celts many centuries before...."
Mail was around long before the Celts discovered blue paint. 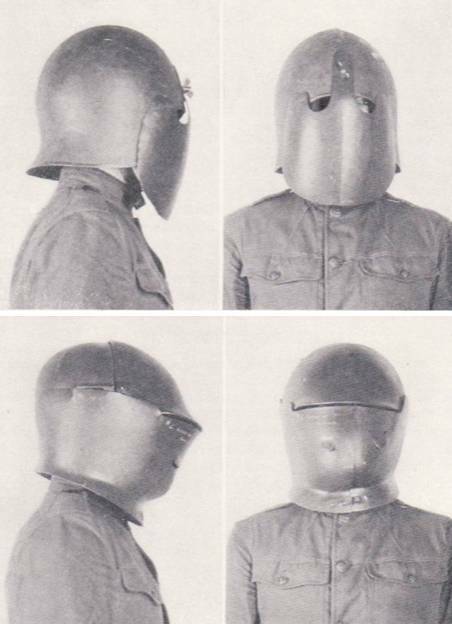 In the ancient Roman Army it was called "lorica hamata," and was worn during some periods in preference to the more-publicized "lorica segmentata." Mail originated in (pick one): 1.Middle East. 2. India. 3. China. There are many exampkles from all three. Maybe not such a rotten period of time. Slavery died out after the fall of the Roman Empire. No large standing armies. Maybe "high" culture is over-rated. You might have a point there. Times were rough, but maybe more sublime. "light as well as strong"